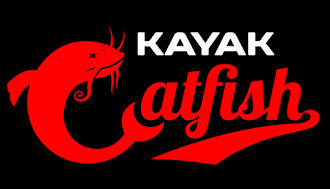 Welcome to KayakCatfish.com. This site has been a long time in the making. I am not the most computer savvy person but fortunately I have a good friend who has been able to guide me through the process. Thanks Allen Sharp! When I got into kayak fishing several years ago, there just wasn't any information out there pertaining to targeting trophy size catfish from a kayak. Unfortunately, that is still pretty much the case. I started out by trying to apply what I was doing in the boat to the kayak and just experimented to figure out what was and wasn't possible through trial and error. Since then, my methods and techniques have been constantly evolving. While I still don't consider myself an expert by any stretch of the imagination, I have gained a ton of knowledge and experience through the years that I hope to share with new people entering the sport. My goal with this site and my YouTube channel is to be the resource for others that I wish I had when I began. The link above is a how to video I made that answers a lot of the most common questions I get asked. In the video, I talk about the gear, tackle, and bait you will need to get started. I also explain and demonstrate a couple of techniques that you can easily apply to start catching fish. This video is a good starting point but nothing replaces time on the water. As you spend more time chasing these fish, you will figure out what bait and techniques work the best on your particular body of water. I hope you will then share that knowledge with others. For some reason, fishermen are notorious for wanting to keep everything they know a secret. I believe that as the community becomes smarter and better, all of the individuals within that community will do the same. With all that said, I welcome you to the kayak catfishing community. Thank you for visiting this site. In the coming weeks and months, I will be adding content from myself as well as from other catfishemen across the country. I encourage you to sign up for email notifications. I have also created a Facebook page that I will be posting updates on as well. You can find it here.